Rimfire vs. Centerfire Ammunition [Beginner's Guide] - Which Is Best? Rimfire vs. Centerfire Ammunition – Which Is Best? If there’s one thing firearm enthusiasts love more than shooting guns, it’s talking about them. That’s perfectly understandable, as there’s quite a lot to talk about. One not-so-commonly discussed topic is whether it is better to use rimfire or centerfire ammunition. We say “not-so-commonly discussed” because most experienced firearm aficionados don’t waste time talking about bullets. They prefer to talk about calibers, gun models, shooting ranges, etc. However, today, we decided to “waste” some of our own time and compare rimfire and centerfire ammunition. Seeing as some of our readers might be rookie shooters, we thought it would be useful to them to know the difference. 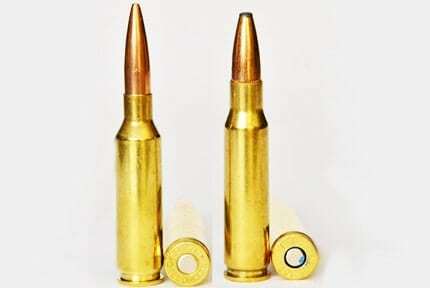 So, this article is a sort of a guideline in which we want to explain what rimfire and centerfire ammunition is, how each type is used and which one is better. We hope the information we offer here will come in handy. First Things First – What’s a Cartridge and How Does it Work? What we’d like to point out here is that the bullet is not to be mistaken for the cartridge. Obviously, they are not one and the same. 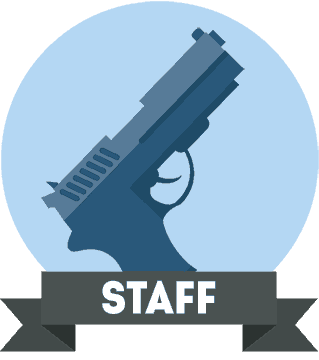 It might seem complicated to a rookie, but the inner workings of firing a gun are actually quite logical. 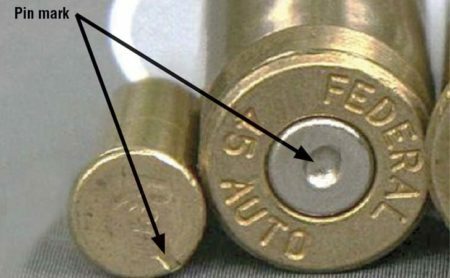 Namely, once we fire a gun, its firing pin strikes the cartridge’s primer. That creates a tiny explosion which, in turn, ignites the propellant found in the case. Moments later, the ignition sends the bullet flying out of its case and down the gun’s barrel. If we aim right, the bullet shoots straight toward our target. It’s as simple as that. How many types of ammo are there? Although this answer will sound perplexing to any rookie shooter reading it, it’s essentially true. Admittedly, virtually every gun shop is loaded with a plethora of seemingly different types of ammunition. However, the essential difference does not lie in the variety of calibers or rounds. It lies in the inner workings of the cartridge’s primer ignition system. What’s the difference between rimfire and centerfire ammunition? As we’ve already said, the main difference between the two is in how the primer system functions. In short, with rimfire ammunition, the firing pin hits the outer rim of the cartridge base in order to ignite the primer. With centerfire ammunition, on the other hand, the firing pin directly hits and ignites the center primer. Still doesn’t make sense? Fair enough. We’ll elaborate. For the sake of clarity, we want to explain how this type of ammo got its name. 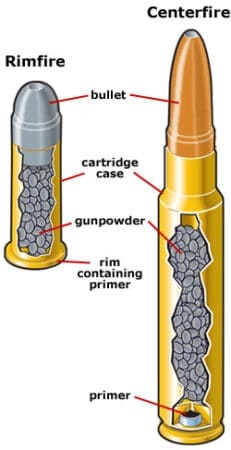 Namely, it’s called rimfire because the firing pin hits the rim of the cartridge in order to ignite the primer. Since the firing pin needs to be able to crush and ignite the primer, the cartridge walls need to be as thin as possible. Unfortunately, that poses certain limitations in terms of the casing size. Namely, rimfire ammo is mostly limited to smaller calibers. It should be obvious by now, but we also want to explain how centerfire ammo got its name. Clearly, it is because the primer that the firing pin strikes is located centrally on the bottom of the cartridge. So, if there’s a circular primer at the cartridge base, we can be sure we’re handling a firearm loaded with centerfire ammo. 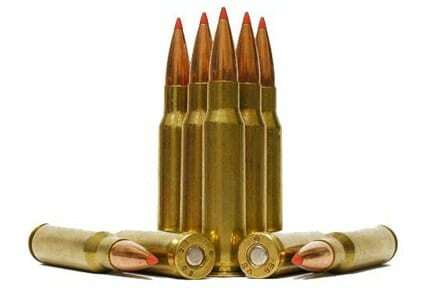 What’s more, centerfire cartridges tend to be of larger calibers. How do rimfire and centerfire compare to one another? Seeing as deciding on the right type of ammo is not a simple task, we decided to compare and contrast rimfire and centerfire cartridges in terms of calibers, reliability, reloading, and price. Here’s what we found. We must note that rimfire ammunition is not as sought-after as it once was. Basically, when it comes to this type of ammo, we’re afraid that rimfire game hunting cartridges are a thing of the past. It seems that, nowadays, the only firearms that fit rimfire ammo are collector’s items, right? Not exactly. While rimfire is excellent for rookie shooters and those who are into small game hunting, centerfire is perfect for big game hunting and home defense. So, the choice will depend on the intended use, obviously. Due to the manufacturing process, there’s always a chance for malfunction with small-caliber rimfire ammunition. Namely, when they add the primer to the cartridge base, the distribution around the rim is not always perfect. Therefore, shooters can always expect a dud or two when they purchase a new box of ammo. On the other hand, shooters who are looking for a firm guarantee of functionality can rest assured that centerfire ammunition will not fail them. Seeing as a softer material is used for the primer, centerfire cartridges have proven to be far more reliable than rimfire ones. If we had to choose the biggest downside to rimfire ammo, it would be the fact that it’s not reloadable. Yes, that’s right. Due to the damage caused in the rim after firing, rimfire ammunition can’t be reloaded. Quite the opposite, centerfire ammunition allows for salvaging and reloading the casing multiple times over. Price is probably the only category in which rimfire wins over centerfire ammunition. Namely, due to low manufacturing costs, it appears that rimfire ammo is actually much more cost-effective than its counterpart. To sum up, rimfire ammo is usually cheaper, but it offers lower recoil than its counterpart. On top of that, it’s quite hard to obtain rimfire cartridges nowadays. 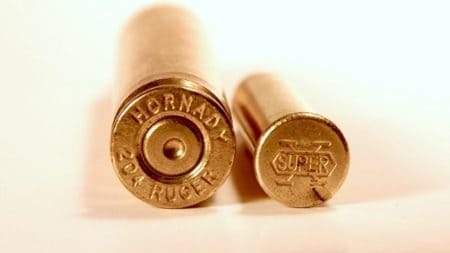 Be that as it may, this type of ammo is often the go-to choice of rookie shooters who are still learning about marksmanship. When it is available, hunters like to use it in small game hunting. On the other hand, while more easily obtainable, centerfire ammo is more expensive. It is the go-to ammunition for big game hunting and home defense. Seeing that the demand for it shows no signs of stopping, we’re sure that the price will eventually drop on account of supply. The only question that, unfortunately, we cannot answer for our readers is which type of ammunition is better. As we already mentioned, that depends on the firearm’s intended use. After re-reading this article, it seems to us that we merely scratched the surface of this topic. However, we hope that we offered a good starting point for further research.